Welcome to another edition of PPV Predictions here at Enuffa.com! It's a busy weekend as both WWE and New Japan have big events taking place (I know, technically NJPW's show is on Monday, but it's Columbus Day, so go screw!). The first few matches of this show are your standard 6- and 8-man tag warmups, but they all have potential to be enjoyable little bouts. 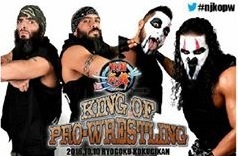 Cole's interaction with all three CHAOS members should be fun to watch. I wonder if this'll set up Ishii challenging Cole for the ROH Title at some point. Landon's pick: As much as I love Adam, I wanna see Tomohiro beat the hell out of him. CHAOS wins. Hey wait, didn't Yano JUST team with the NOAH guys AGAINST his CHAOS stablemates? What gives, Toru? Anyway, this'll be brief but pretty wild I imagine. Not much at stake here. Landon's pick: WE FINALLY GET TAIGUCHI AND YANO IN A MATCH TOGETHER. This is all I’m gathering from this. GBH/Fish/Ryuske to win. Another NJPW vs. NOAH match, following up on the 8-man tag from Destruction in Kobe. New Japan took that match, rather unexpectedly, so I'll go with NOAH to win here. Landon's pick: I’m sure you said that a lot during the Invasion angle, too Justin. Although, with the 3rd generation I’ll agree the NOAH prediction. Here's where business picks up. The brand new team of Ric and Dave just pulled off an upset, teaming with Kojima to beat The Bucks and Adam Cole for the Six-Man Titles, and now they'll face Matt & Nick again for the Jr. straps. I wonder how long Matt Sydal will be unable to compete in Japan due to his visa issues. Regardless it's nice to see Finlay getting some Championship matches and even his first taste of gold. This should be a lotta fun. Landon's pick: Bucks win. If David Finlay and Prince Puma get the IWGP Jr. Tag titles, I will personally post a video on Youtube of me doing 500 Hindu Squats. The GoD finally get their rematch against Jay & Mark after defeating them in 8-man tag action last month. Again, I'm still unimpressed with GoD's ring work so I hope The Briscoes retain here. The belts are simply more prestigious with Jay and Mark than they are with Tonga and Roa. But since The Briscoes are on loan from ROH I could see GoD winning the belts back. Landon's pick: The tag league is coming up, and an important point was made by Uncle Dave Meltzer a week or so ago. ROH’s Final Battle PPV (the company’s biggest show of the year, apparently) is December 2nd, which makes it during the tag league timeframe. There’s no way that New Japan would have their tag team showcase without their champs. Guerillas to get the belts back. This should be pretty great if given ample time. Lots of individual stories to tell in this match and it could set up multiple bouts on the WK11 card. Naito is coming off a loss to Lethal at All-Star Extravaganza, so I'd say an IC Title match between them is a lock for Power Struggle. Since LIJ have two titles it would make sense for Team Good Guys to win and set up some other title matches. 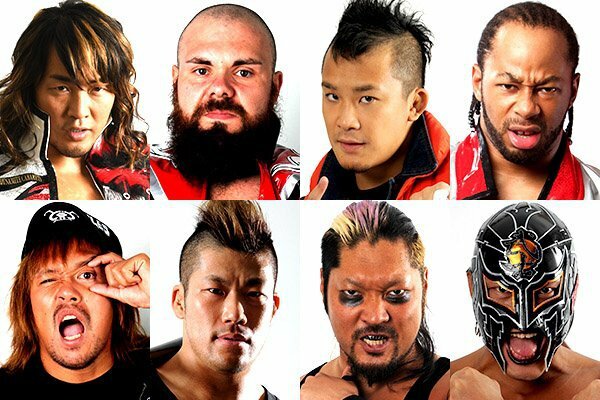 Landon's pick: LIJ has probably the most momentum behind it in a long time, possibly since Naito formed the faction proper in 2015. So, of course, BUSHI will probably lose the title at Power Struggle, SANADA and EVIL will be left doing much of nothing. One of them, I’ll keep reminding everyone, has pinfall victories over the NEVER open weight champion and the then-Intercontinental champion. I notice, Gedo. You should, too. White Meat Babyfaces to be victorious. This is the match I'm most excited about. Shibata and Bobby Fish had a fine contest at Destruction but he and O'Reilly should knock one out of the park here. Both guys use excellent MMA-inspired offense; Shibata loves strikes, O'Reilly loves to grapple. This should be intense and brutal, and almost certainly a show stealer. Landon's pick: I'm much more a fan of Fish than O’Reilly, but this will still be a good match. I don’t see why Shibata would lose the belt here, unless there’s fear for The Wrestler’s health with his spine. Shibata to retain. Well I've never seen this before. Correct me if I'm wrong (I very well could be), but to my knowledge the G1 winner has never been forced to grant a rematch to the runner-up. Generally he only has to defend the briefcase against guys who beat him in the tournament. But their G1 final was a hellacious battle, so I'm certainly not complaining about seeing a rematch. There's no suspense over who wins, but it'll be excellent. Landon's pick: To answer your question Justin, Okada defended the certificate against Anderson at King of Pro Wrestling 2012, when they were the two finalists two months prior. The G1 winner (Okada, Naito, Okada, and Tanahashi in previous years when the title shot was guaranteed) has never lost the title shot. I don’t expect Omega to lose here. However, like YOSHI-HASHI, one could book a hell of a story out of Goto defeating Kenny for the title shot. Omega to keep the CHAOS streak going. Here’s hoping Ishii doesn’t murder him in a month or so. These two had a damn fine match at G1 and this should top that one given its importance here. 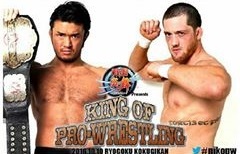 It's the NJPW ace vs. the NOAH ace for the richest prize in Japanese wrestling. 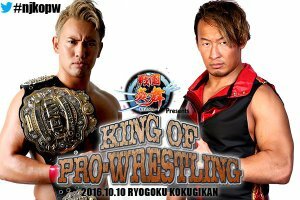 I expect more epic big-time wrestling from Okada and plenty of innovative offense from Marufuji. This should nicely close out a fantastic show-closing trilogy. Okada's obviously retaining here.